A few weeks later I accidentally placed my WD Passport external drive on top of my Moleskine notebook and, what do you know, they were pretty much the same size. That got me thinking. 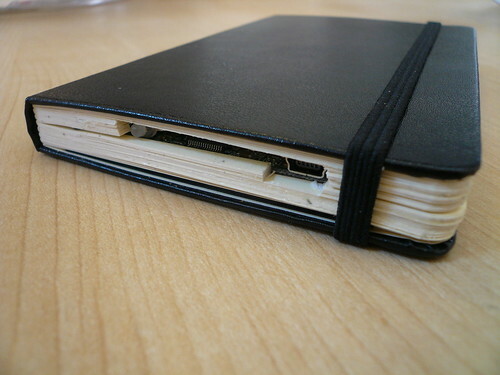 Spanking new Moleskine Reporter notebooks look really nice. Can’t wait to pick one up.